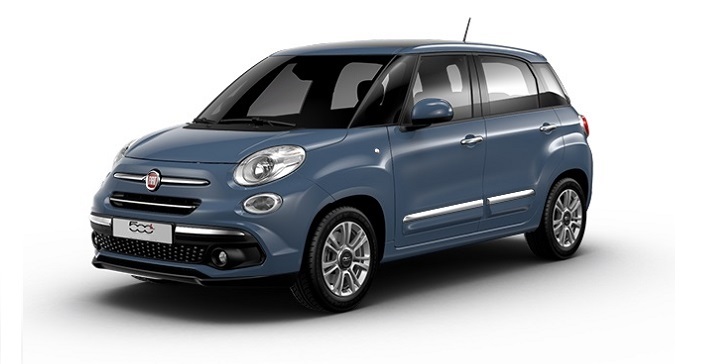 All the beauty and iconic charm of the Fiat 500 in a comfortable spacious family car. Choose from the new Urban, City Cross or Cross. 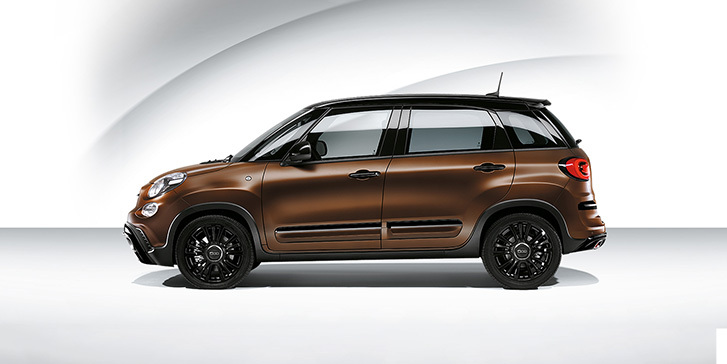 Fuel consumption figures for the Fiat 500L range in mpg (l/100km): Urban 34 (8.3) – 34.9 (8.1); Extra Urban 34.1 (6.4) – 46.3 (6.1); Combined 39.8 (7.1) – 40.9 (6.9). CO₂ emissions 156 – 161 g/km. Fuel consumption and CO₂ values are obtained for comparative purposes and may not be representative of real life driving conditions. Factors such as driving style, optional wheels, weather and road conditions may also have a significant effect on fuel consumption. CO2and fuel consumption values are determined on the basis of the measurement/correlation method referring to the NEDC cycle as per Regulation (EU) 2017/1153.